The foldable flats are the perfect pair that you crave after a night on the town, or even after a long stroll through the city. Our products enjoy great popularity among customers both in domestic and overseas markets for high quality and competitive prices. With good integrity and the best service, our company sincerely welcomes enterprises and friends from at home and abroad to cooperate with us. We have good experience for exporting shoes for more than 20 years. Q: Can I ask for one sample before placing orders9 A: Yes. Q: Can you make samples according to my designs9 A: Yes. 24 hours trade manager and whatapp online serviece. 3 . We can make woman shoes and boots with your brand. We are ready to answer any of your questions. 3, We have our own factory, price is always the compeetitive one 4, Good quality and guarantee, We take quality seriously. OEM&ODM are Q3. Can you offer me discount9 Yes, we provide big discount to our customers when they come with a bulk order. As you know, hundreds of our clients ask for sample each month, it&rsquo;s a heavy burden for us. Best Price 1. All the accesories we use are the best we can do within the price. We can put your logo on the shoes, and we also can make the shoes according to your design. If you like, you can tell us your idea, then we make the sample for the testing. Hefei Chuangyu Commerce And Trade Co., Ltd.
2.Refund and return If you are not satisfied when you receive your item, please return it within 7 days for a replacement or money back. 50 pairs for OEM service of high heels women shoes 2.What&rsquo;s your delivery time9 Within 7 days,after full amount be paid for wholesale. not only for competive price qualified product but also for excellent service. 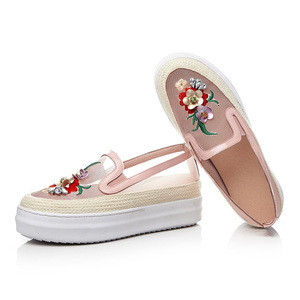 Wenzhou Youmei International Trading Co., Ltd.
Alibaba.com offers 89,659 leather shoes women products. About 13% of these are women's boots, 10% are women's sandals, and 7% are genuine leather shoes. A wide variety of leather shoes women options are available to you, such as free samples, paid samples. 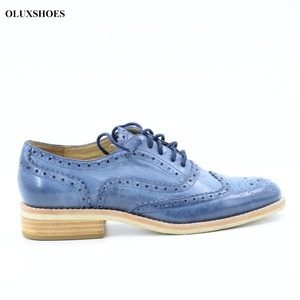 There are 86,257 leather shoes women suppliers, mainly located in Asia. The top supplying countries are China (Mainland), Pakistan, and Turkey, which supply 91%, 2%, and 1% of leather shoes women respectively. 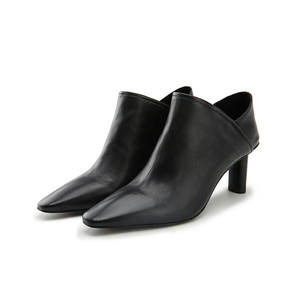 Leather shoes women products are most popular in North America, Western Europe, and Eastern Europe. You can ensure product safety by selecting from certified suppliers, including 8,187 with ISO9001, 6,098 with Other, and 3,429 with BSCI certification.